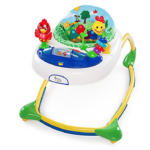 Toys for Under 1 | happy.harvey.home. Most of my blog posts are the result of friends asking me questions about my experience. Having 3 under 3 doesn’t make me an expert but it does mean that babies and toddlers are on the top of my mind ALL THE TIME. I love our 3 and I love talking baby. Probably because its something I can get excited about and feel like I know at least a little something about. 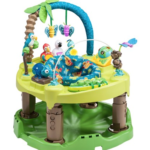 So this post is in honor of a dear friend who has a baby boy a couple months younger than our girls and was looking for some toy recommendations for babies under 1. While we try to stay minimalists in the toy area (we try- I didn’t say we are successful) we certainly have our share of toys around the house. These stick out as some of our favorites that all of our kids have used and enjoyed. 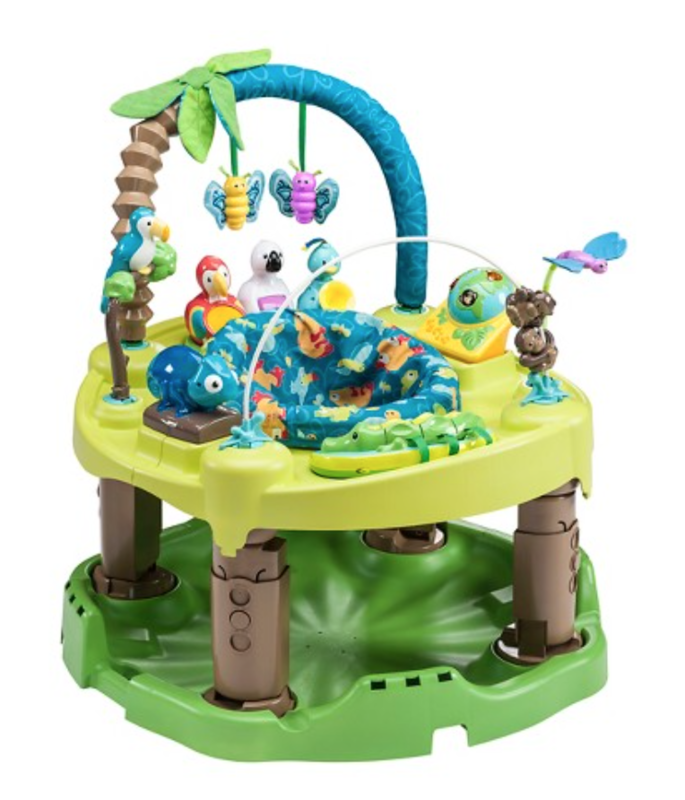 This is actually a great toy around 9 months when babies are starting to try to pull up and stand. 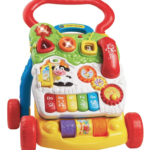 Jude didn’t start walking until he was about 13/14 months so this toy was still great in the early 1 year old days for him to stand and play and push buttons. 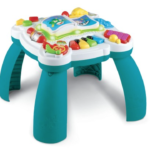 Another great toy for the early stages of walking as you can adjust the wheels to have more or less resistance. 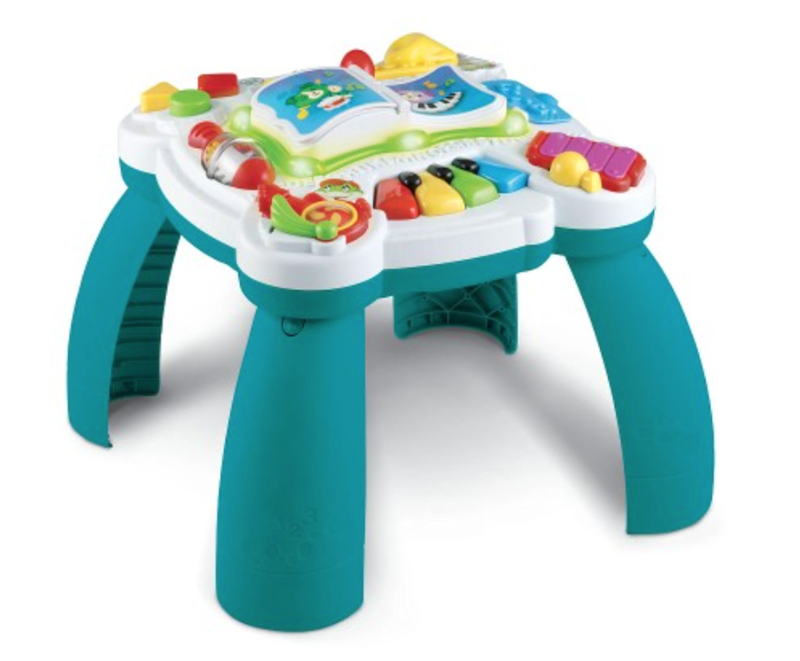 The girls also sit in front of this toy and can push and play with the buttons. Jude is 2 and will still grab this occasionally and push it around. We actually got this toy for Jude when he turned 1. He liked it for about a week and then quickly realized he could move around a lot more not “constrained” in this walker. He then went to pushing it around instead of riding it which kind of defeated the purpose. Our girls are now 8 months old and one of them is in this at least once a day. They love it and they can move around in it really well pushing on the floor with their feet. 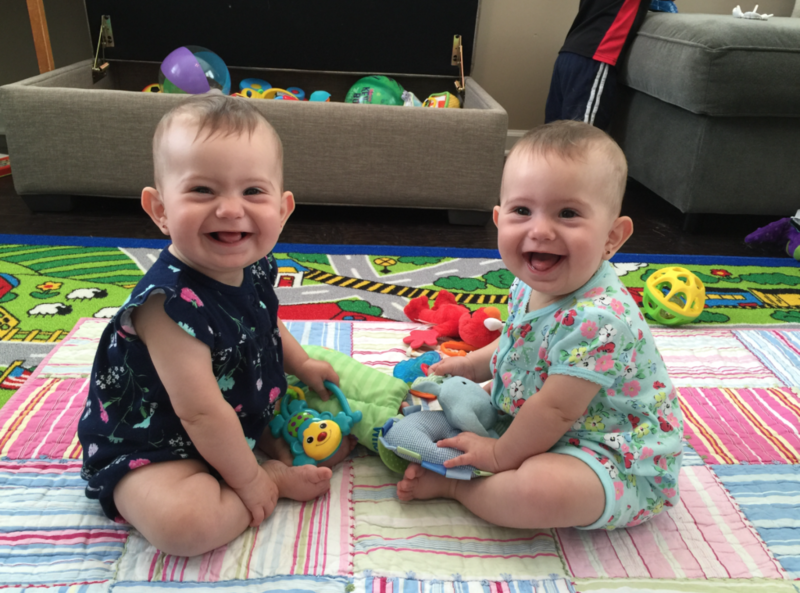 It is perfect for their age and will be used a lot until they start walking. When one baby is in the walker, the other is in the exersaucer! This has been a family favorite for all of our kids. There is lots to look at and play with. 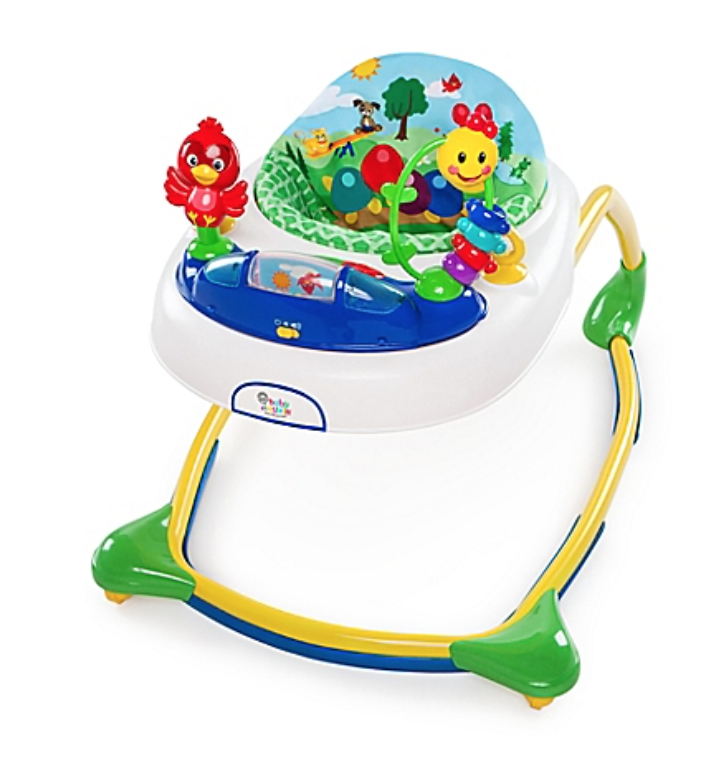 It has lights and sounds and is great for jumping as well. You can even take it apart when they get older and change the shape to make a “table” that they can stand at and still play with. While exersaucers do take up space – having one has become a necessity. I still have no idea how we accumulated all of these little random rattles and stuffed shakers.. but we did. From soft toys that make noise to harder toys that light up to balls with shakers inside and little dolls with rubber hands and feet that act as teethers- all of these random little toys seem to mysteriously appear all over our home but at this age they are actually perfect for our girls to play with. When your baby is too small to sit up or is just learning to sit up but can’t move around yet, having some small teether toys that they can learn to hold and pass from hand to hand and chew on is actually pretty important. It helps them learn and gives them something to do at this stage. So while these toys might add to the clutter they are a helpful addition for this short time frame. This entry was posted in Baby, Birthdays, Lists, Products, Toys by annettelharvey. Bookmark the permalink.